For 50+ years AAA Remodeling Company has taken great pride in providing the best bathroom and kitchen remodeling in St. Louis. What Can AAA Bathroom Remodeling Do For Your St. Louis Home? With access to over 200 colors of granite and marble from all over the world AAA Remodeling Company can create the luxury bathroom of your dreams. This is the largest array of colors textures and patterns you will find in St. Louis. With such an array to choose from, your bathroom can be customized using just about any color scheme imaginable in a wide range of textures and special designs. With this as the backdrop to your remodeled bathroom, the sky really is the limit on your design choices. You can create a dramatic black and white modern bathroom with shiny chrome components or natural tones that are set off perfectly with gold accents. Our remodeling team is ready and waiting to make your bathroom the one that you have been dreaming of. When you have a bathroom that is functional, yet dated, our bathroom makeover experts can help you begin the process of remodeling your bathroom by providing you with modern ideas. This is an important project and we are committed to helping you choose the best plan to suit your needs. 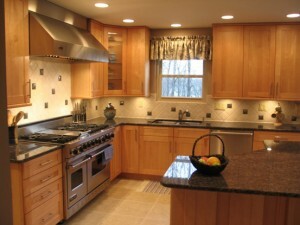 What Can the AAA Kitchen Remodeling Contractors Do For Your St. Louis Kitchen? The kitchen remodel at AAA Remodeling Company will help you design a new space that inspires you. Not only in your cooking endeavors, but also in the way in which you spend time with your family and plan social gatherings with friends. With the right design layout and carefully chosen appliances, your St. Louis kitchen will make your home the envy of the whole neighborhood. Trust the expertise you find with AAA can make that happen.